Dainese knows no bounds when it comes to innovative motorcycle gear and the New Drake Air Women's Pants are no exception. A full 750D textile construction with integrated elasticated inserts, mesh backed vents and CE rated composite knee armor make the New Drake Air Pants a heavy hitter, perfect for multi-season sport and sport-touring riders. The unique “flip-up” vents located on the thighs are strategically positioned to maximize airflow yet can be easily closed when the temperature drops or to keep out wet weather. 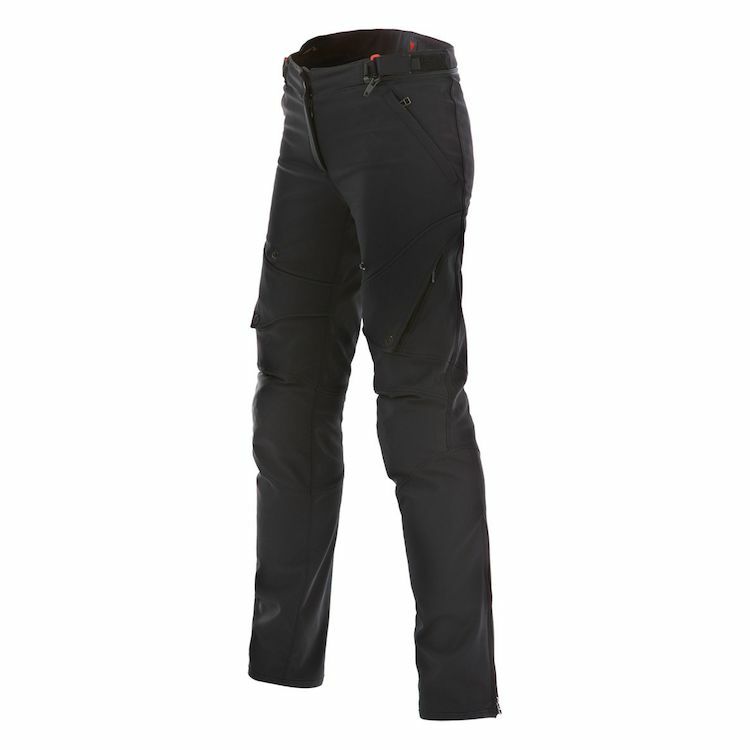 The New Drake Air Pants provide industry leading multi-season riding comfort and protection. I absolutely love these pants. Exactly what I wanted. Fits perfectly and is able to adjust size to fit under layers if need be. The D-ring on the waist band (adjusts waist with velcro on both sides) is too large for the tightening bands. This means that the D always turns on its side from this ? to this ?. The result is that my pants are about 3" too wide in the waist and are constantly falling down. When off the bike I have to pull them up all the time because it's uncomfortable walking around with the knee armor below my knee. This was not the case when they were new, but broken in--this is how they are. Length: on the bike there is about a 3-4" gap between my 8" boots and the bottom of the pants. Leaves my lower leg open to the air so that debris hits my skin and my skin turns red and irritated from the engine heat constantly blowing by on the highway. I would not recommend these pants. Dainese needs to get their sizing and product testing under control. My other pair of Dainese pants, the Horizon pants are also unwearable since they are too tight (!) in the waist and cause serious hip issues that persist for weeks after even an hour of wear. Also way too short. I wear a 32" inseam, 26/27 jeans, 5'8", and own both pairs of Dainese pants in size 40. I love, love, love these riding pants! They fit well and breathe in the hot Texas climate. The mesh portion is not big by any means but is placed well and the fact that the pant material has breath-ability to it makes the need for more mesh not necessary.I recently purchased two pair of summer riding pants and while I really like both pair these are definitely my preferred choice. They are great for the ride and the destination. Being able to remove the knee pads from the outside is a huge plus for walking around at your destination and the useable slash pockets (I tend to stand with my hands in my pockets; it takes the pressure off of my shoulders) are a feature I was looking for in riding pants. I haven't had them long enough to review the durability but they seem to be well made and I would definitely buy them again. Also, Revzilla is our favorite place for online shopping. We live in a rural area of Texas and do not have access to places to try on gear. Revzilla has great customer service and has been very gracious in allowing for multiple orders and returns until we found something that fits and works for us. Thank you Revzilla for your patience! I am 5'1" and weigh 125lbs and the 42 fit well. I am 5' 5 1/2" and 118 lbs. I was 120 when I started this process and purchased the 42's. They fit, but they were pretty snug and so I returned and tried a size 44. The 44's were way too big and I could pull them off without unbuttoning. So those went back and I looked for any other possible options. I kept coming back to the Drake's. So, I decided it would be worth it to try the 42's one more time and for good measure I dropped 2 pounds. The combination of the tiny weight loss and more likely, getting a size 42 that was cut just slightly bigger (no two garments are exactly alike) worked just perfectly and I love them. There are no hip pads or pockets for them which is a negative. the kneed pads cover your shins as well so that's a plus. I haven't tried them in the hot weather so not sure on the air flow. They will zip over touring boots just fine and also work well with the TCX Street Ace Waterproof Riding shoes. I've been riding for 15 years... mostly in skinny jeans. I don't know why it's taken me so long to get around to protecting my lower half — maybe it's because it's so hard to find quality gear for women that actually fits — but I decided this is the year to do it. This is the best out of like 15 different pants I've tried on. For reference, I'm 5'6" 115lbs and usually wear a size 0/XS. I ordered a size 40. If they were available in a 38 I would have bought those, but I can make the 40 work with the adjustable velcro straps. In the colder months, my base layer will take up that extra room. • High quality knee armor that's actually quite comfortable, and that you can remove to make the pants work when you get off the bike. • They're quite comfortable, with some stretch in the fabric, and they're relatively form fitting (the least "techy out of all the textile pants I've tried on). • Relatively water resistant (sprinkling, you'll be fine; real rain, not so much). • Relatively warm (I've worn these in 40º weather with a base layer, and was fine). • The pocket for the knee armor goes all the way down to the ankle, so the knee armor slides down pretty far. I'm planning to sew in some velcro to hold it in place. • I haven't worn these in really hot weather, but I can already tell that the ventilation isn't going to be amazing once it gets above 70º. I never write reviews. But, the previous reviews helped me make my decision so i thought I’d repay the favor. So, these pants are super super nice. They are so comfortable and pretty stylish. The only thing I wish the had done is put in hip protection. Yes, there is a slot so you can put some in. But, for the price i felt it should have been added. As for sizing, I wear a size 4-6 in pants i weigh 130 and I’m 5’5”. I have narrow hips but i have a booty and these fit great and they don’t show my crack when I’m riding. I ordered a size 44. I feel i could have gone a size down and been happy about the fit. But, i wanted to make sure i could wear something under if i wanted to. I want to thank Revzilla for such clear information on the products they sell. These pants are everything that they said they would be. It makes for a lot less hassle in buying when you don't have to return several pairs if they don't fit or aren't what you expected. I love my Dainese pants so much I ordered the jacket to match. Thanks Revzilla!! Literally got these and took a spill on my bike the next day. The protection was great! Had no problems with the pads gigging into my shins. I wish they had hip protectors right about now since i have a nasty bruise on my hip, but thankful i had these to protect my skin. I do wish they weren’t low rise, but if you have a dainese jacket that connects that would solve that problem. Shipping from revzilla is excellent as well! I feel like these are true to size, I wear an 8, on the verge of a 6, but ordered a 10 for comfort and so I can wear them more as an over pant, and they are perfect with the adjustable waist. I ordered these as my first pair of riding pants. They fit like a glove, however they are very long. I'm about 5', so it's hard to find pants that fit length wise so no hard feelings there. They do have knee/shin protection that tends to shift around when walking, but these are for riding so that shouldn't be an issue. Pockets are deep and zippers are high quality. The button hole on mine began to unravel, which is concerning. With the exception of that and the length, I love them. I am a petite rider, 5'3" ~102lbs and I purchased these in a size 40 which is the smallest size available. I can wear these over a pair of skinny jeans just fine and the waist still need to be adjusted with the side adjusters. The size chart does say 40 is about equivalent to an xs/2 so if you wear a 2 in jeans I think these should fit your waist just fine and the fit in the thigh and length of the pants are perfect for riding. My only other complaint is that the location of the knee armor is a little too low. I have a 30" inseam and I needed to sew the inner lining of the armor pocket about an inch up from the original seam to have the protection where I need it. The overall comfort and feel of the pants are amazing and I would highly recommend these as long as you check your specific measurements with the size chart. good reviews,hoping they fit me perfect,like all the features but wish they had hip protection. Nothing to complain about. Great fit. I have tried a few other brands and these are the best so far. I really like them. I wear thermals under them in the winter. I am tall and these didn't work for me. Had to go with men's. 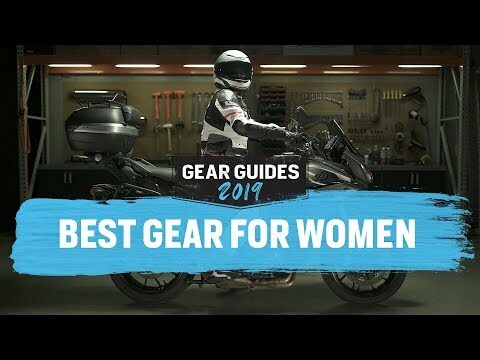 I wanted matching black, mesh, quality pants that fit well for the Dainese Women's Air-Frame Textile Jacket for the warmer summer months in California. My wife is small and skinny so finding clothes to MC pants to fit is diffucult and we read the Dainese fir smaller women. They go well with my Carvemaster jacket and the fit is good. Because my wife said if I didn't buy them for her, she would cut me off. Fair enough? Have two pairs of these and luv them. Highly recommend as they fit nicely and are true to size. They're a little more feminine than other riding pants but still provide a level of protection with shin protectors. Comfy and coller for the warmer climate in Australia during the summer and spring. Best riding pants out there. I've tried a few and these are the most comfortable and fit most body types. Highly recommend. the most comfortable summer pants I have ever had. Wanted stylish pants with protection for hot weather. I was looking for comfortable pants with protection. These pants fit well and got me through a week-long trip with no issues. They were great in mild weather. When it got really hot, they were a little sweaty in the seat. They could use more vents. Momma needs a new pair of riding pants! Best paints ever for spring and summer riding. What is the inseam on sizes 42 and 44? BEST ANSWER: Feels like about 30'. I'm 5'2" and they are perfect when I'm riding. The stretch and narrow ankle opening looks very nice and has no bulk around my ankles, while fitting comfortably over my Daytona boots. These are my favorite riding pants. Is there any protection in the hips? A little padding? BEST ANSWER: Mine did not come with any hip padding whatsoever (2015 model). What I did was purchase a pair of the EVS Youth Tug 02 Padded Riding Shorts in size M from Revzilla to wear underneath. At 33.5" hips, 25" waist, 28" inseam, these New Drake Air pants in size 40 fit like a glove, but the padded shorts are still comfortable underneath. There's some light abrasion padding on the outside and a *very* thin foam pad insert on the inside. The internal pad is held with a mesh pocket with a velcro closure, so you may be able to fit different pads. No hip protection, just knee and shin, but significant and still allows for a slim and flattering fit. There is some padding in the hips. For more hip protection, consider the Dainese Norsorex Shorts. There is some thin removable hip padding but it is not great. Not for high speed stuff. Can you fit the force-field honeycomb hip protectors in here? The Dainese web site lists these pants as made of "Mugello" fabric, whereas they are listed as 750 Cordura on the Revzilla site... clarification? BEST ANSWER: Unfortunately, that question will have to remain un-answered. Dainese doesn't conform to the typical Cordura ratings since their materials are all proprietary. My personal assessment is that Mugello fabric is in the neighborhood of 500D, but since we are comparing apples to oranges, no-one really has a "conversion chart" for Dainese fabrics to Cordura ratings. Thanks for the clarification! Now - the answer I can't find anywhere. What sort of abrasion resistance does this "Mugello" offer, as compared to other fabrics? Good catch, Dainese is correct - we've updated our product description to match. Which boots do you wear with these pants? Any trouble with boots with shin armor (i.e. Sidi Fusion Lei, Dainese Siren, etc.) overlapping with the knee/shin armor on these pants and causing discomfort or (God forbid) unstylish bulging? BEST ANSWER: I wear them with icon elsinores now, and there's some overlap with the shin armor, but it's not uncomfortable for me, especially with my knees bent. (I'm 5'4" and wear a 42.) Previously I wore them with Alpinestars SMX - 5s and there was less of a conflict there, since those are about 1-3cms shorter than the elsinores. There's some serious unstylish bulging with the elsinores too, but the SMX -5s were not as bad since they're a less bulky boot. When I got these I thought I might be able to pull them off as casual pants here and there, but they look like motorcycle pants. My favorite motorcycle pants that I love, but there's no pretending they're casual. I assume you wear them outside of the boot rather than inside, correct? I wear BMW gore-tex boots (mid calf height). No problem while riding. When I get off my bike, I just pull the armor back over the top of the boot. No discomfort… and it doesn't look bad! I really needed the Dainese pants because I'm short-waisted, and they're the only fit that doesn't come up to my ribs when I'm on the saddle! I love the thigh vents. Watch that fastener though; mine broke after just a couple of rides. Also, as extra info, the size small fit great standing up but bit into the back of my knees on the bike so I got the size medium and they're perfect (I'm 5'5", 115 lbs). I wear the Daytona Lady Star GTX boots. Since I have short legs (28" inseam), I push up the shin-knee armor up from the outside as they are low for me by default. In that higher position, the shin-knee armor falls right above the boots' padded shinbone cover, so that they are comfortable and there is no unstylish bulging. The pants seem to work best inside the boots, as the boots' shinbone cover is bulky. Wearing them over the boots is possible, but it is a really tight, suboptimal fit. In summer I wear a shorter boot so no boot/pant armor overlap. The rest of the year I wear a taller boot, first the Gaerne Rose (until a zipper broke), now the Dainese Svelta. For both pairs of boots, I have to tuck the very bottom of the knee armor into the top of the boot. The fit is fine and comfortable. I always wear the pants over my boots, not tucked in. I am 5' 5" tall. I wear Sidi Vertigo Lady Boots. There is a problem. Hard shoes. Lightning bottom pants rubbing bone on the foot. Accounts at clothing shoes, deploy leg. Protection is included in the knee boots. But sometimes you have to correct her. When folding legs coming out of the shoe, you need to insert back. Another side buckles are not comfortable. And so cool pants. I wear the Sidi Fusion Lei with these pants. I wear them tucked in sometimes and on the outside other times; depends on the temp and my mood. I find the pants very comfortable although not a great airflow pant. They do work good as I have the Daniese jacket which attaches to the pants. I hope this helps. You don't find the airflow to be good even with the flaps open? Do you have any better suggestions for pants with good airflow? Also, does the shin armor on the pants interfere with your shin armor on your boots? I purchased the TCX Aura boots, which do have some shin armor. The boots come about mid-way on my calf and do not cause bulging or discomfort . The fit of the pants and boots are smooth. Additionally, the pants flex nicely when I am on my bike. I am extremely happy with them! The boots that i wear with this pants are the BMW Gore-tex Pro touring boots. I really like this pants a lot. The are very comfortable and very stylish. They fit very well and great in the summer time. I love it. My lady wears Oxtar Sunray boots over these pants and has not reported any discomfort or esthetic dissatisfaction. Yeah, outside. They're too bulky to be comfortable tucked inside, and there's an ankle zipper. my wifes got short legs. a 24" inseam. i guess these aren't for her? I have about a 29" inseam and the pants work great for me, 5'5" and 130 pounds, I think I have size 42 but I can't find the tag to confirm. Your wife would likely need to get the pants hemmed, but I highly recommend them. Great fit, comfortable and flattering. Good luck. great thanks! what about knee placement? don't think that will be an issue? also are the knee pads removable without taking off the pants? Mine are a size 46 and they have a 31" inseam and they're a perfect length. Im 5'7" and 145 lbs and always get "regular" inseam with size 8 (American) or 29 (European) jeans. Hope that helps. I suppose a tailor could shorten them if need be but get a good tailor because it would require shortening the lining too and putting in a new zipper on each leg. Hi. The inseam on these pants is right around 30. The ankle area zipper length is 12 inches. That leaves plenty of room to have them altered. Yes they are pricey to begin with and adding more for alterations, I am not sure they're worth it. Perhaps if you have an affordable alterations person. I'm 5 feet even and about 110 lbs- the 38's (I think) fit well and are a bit long, but manageable. The knee protectors have some mobility so they can be shifted to the appropriate location, and they do not drag when I''m wearing boots. I did not have to have them hemmed. I will need to lengthen the pants too. What did you use for the extra fabric? ok thats great. didn't think they could be hemmed. thanks for the replies! can you remove the knee pads without taking the pants off? for walking around.. I haven't tried removing the knee pads while the pants are on. I don't think it would be possible from my time wearing them. It is rather difficult putting the knee pads back in after a wash. They are great pants and do provide air movement. I actually don't know because I havent' tried it. I wouldn't recommend it, it is a tight fit and trying to squeeze them back in would be difficult. BEST ANSWER: Both are pretty close and will look good with the pants. I think the Alice might be a closer match in terms of materials. But the Air Frame has some great lines/mesh what will work nicely as well. 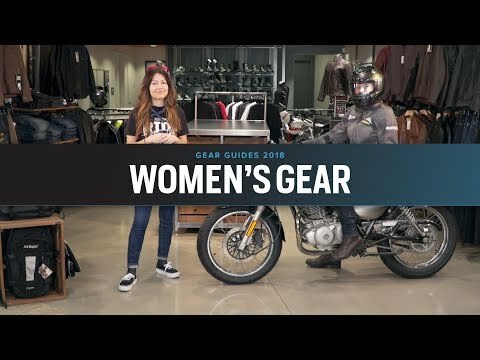 It just depends on your riding style and how much protection/coverage for seasons you want. I'd recommend watching the product videos if you haven't. They provide a ton of info (pros/cons) for each jacket. My wife is using the Airframe, no complaints, works and looks great. Hello all--I love my New Drake Air pants and want to get my wonderful wife the women's version--but I'm confused on the sizing. She's 5'10", 125 lbs dripping wet, and has long legs. Like a 35 inch inseam. She wears a size 2-4 dress. Any thoughts on the size of the pants I should order? BEST ANSWER: I have a Drake Air pants size 40. I'm 4'11" and 104 lbs. The 40 fits nice but the length is about 3" too long. Dave - my wife is 5' 10" and her inseam is 35" (measured crotch to floor)....we had trouble finding pants that fit. We got her a size 46 and it works well for her. Can you use these pants for dirt biking also?